I can't imagine my Thanksgiving meal without either Brussels sprouts or sweet potatoes. Who said holiday sides had to be fancy? Simply roasted with some spices is all you need. This is one of my favorite dishes all-year round as well! Preheat oven to 400 degrees. 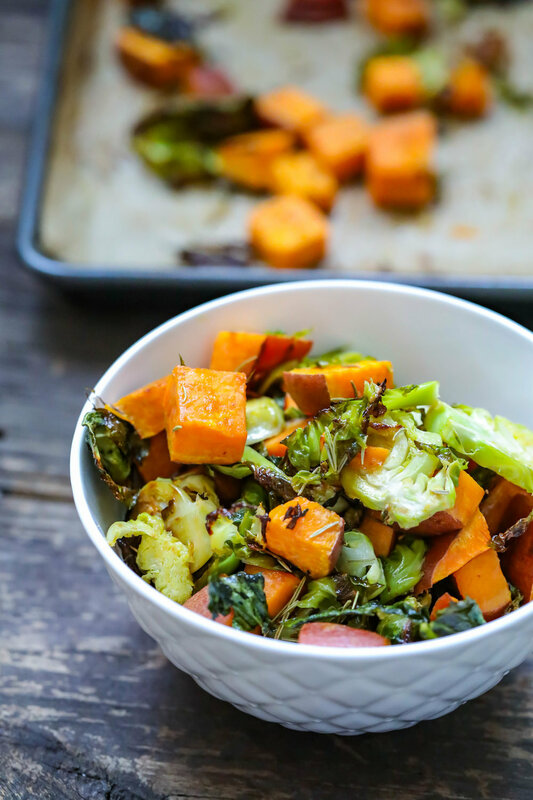 Line a baking sheet with parchment paper and spread brussels sprouts and sweet potatoes evenly. Coat with oil, spices and sea salt. Bake 25-30 minutes until sweet potatoes are fork-tender and edges of brussels begin to brown.